Serena Korda’s exhibition Hold Fast, Stand Sure, I scream a revolution, recently opened in the Reid Building Gallery as part of the Glasgow International Festival of Contemporary Art. 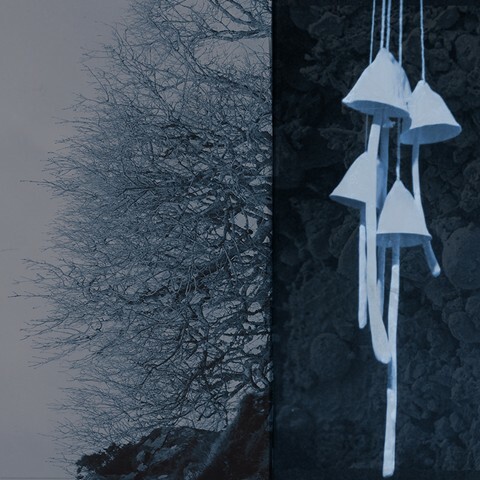 Collaborating with sound designer/composer Martin Low, Korda is creating a ‘sound sculpture’ for the Reid gallery using audio visual equipment and a set of elongated ceramic bells. Taking inspiration from the politically radical history of Garnethill and drawing inspiration from the collections of the Glasgow Women’s Library and GSA Archives and Collections, this exhibition will work with children, adults and students from both the GSA and the Royal Conservatoire to play and ‘agitate’ these bells as performers. For the full details about this exhibition please see the GSA Exhibitions page here. In this exhibition there are a number of items featuring the ‘Glasgow Style’ from the GSA Archives and Collections that will be on display with other materials from the Glasgow Women’s Library and the CCA, including: a plate from a china tea set by Ann Macbeth; a Glasgow School of Art lapel badge and decorative bookplate by Jessie M King; an embroidered tea cosy; and a Glasgow style brooch. These items will be on display until the 27th April, go take a look and let us know what you think!